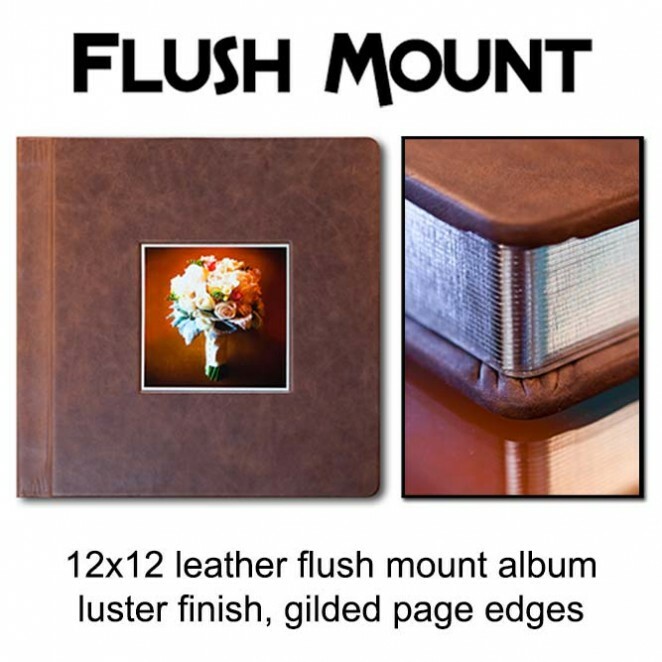 FLUSH MOUNT – 12×12 Leather Flush Mount Album – 20 pages (40 sides) – The Flush Mount Album is the most popular album and includes a standard leather cover, and professionally mounted panoramic photos that have a lacquer coating. The pages of the Flush Mount Album are board-style pages that have rounded gilded edges (black, silver, or gold gilding). Two lines of custom cover imprinting for your names and wedding date are included with your album. The Flush Mount Album is available in a new seamless page style or a traditional split page style with a small 1/16” gap is in the center of each spread. 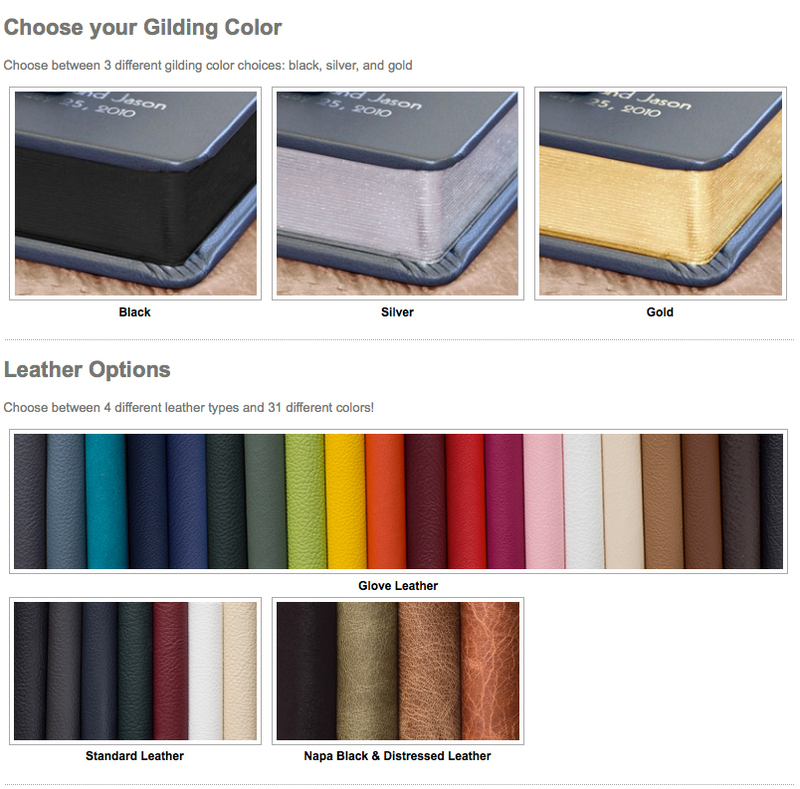 The Flush Mount Album comes in a variety of leather styles and colors. Your album comes with a full leather cover in standard leather. Cameo photo covers, full photo covers, and premium leathers are upgrades. 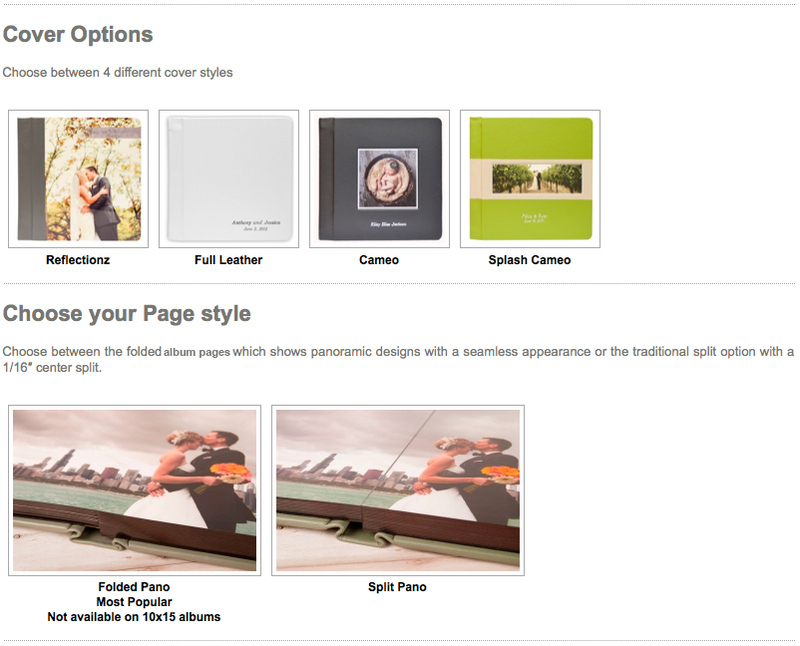 Choose between a seamless folded pano page style, or the traditional split pano page style. Choose between black, silver, or gold gilding. Your album comes with a full leather cover in standard leather – napa leathers, glove leathers, and distressed leathers are upgrades.